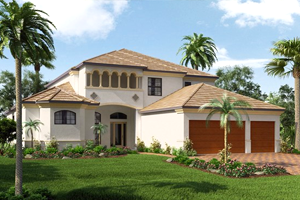 The community of Waverley is a development of Bradenton-based Medallion Homes. It is located east of Sarasota off the western flank of Proctor Road. It shares this area east of Interstate 75 with several golf communities such as Bent Tree, Heritage Oaks and Misty Creek all hosting plenty of upscale Sarasota homes for sale. Medallion Home set Waverley as a gated, boutique development with 110 luxury homes. It started pre-selling in this community August 2017, opening three furnished models for tours by prospective buyers of Sarasota homes for sale. Marketing is focused on a total of seven home models at Waverley. Six of these are single-story in design with floor areas ranging from 2,395 to 3,252 square feet designed with three to four bedrooms. The starting prices for these designs are in the $500s and the $600s. The lone two-story rendition offered in this community offers the largest floor plan at 4,686 square feet featuring five bedrooms and four baths. Called the Bimini model, this design has a starting price in the $700s. Buyers of Waverley homes for sale also has the chance to personalize their once they have chosen their lot, elevation and floor plan. Medallion has a Design Center to help them explore various options on such elements as exterior and interior paint colors, finishes and flooring, and roof color/style. In addition to the fine features of Medallion builds, the superb membership amenities of nearby country clubs could help generate buying interest in Waverley homes for sale. Bent Tree, located just across Proctor Road, offers several membership options which start at just $25 a month for social privileges in its clubhouse. 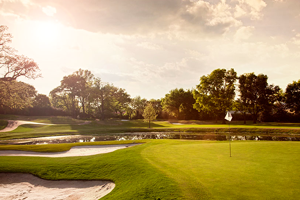 A full Bent Tree membership opens unlimited access to the golf course and clubhouse activities plus summer reciprocal privileges at more than 36 private clubs. Waverley is likewise conveniently close to the popular Twin Lakes Park which features picnic grounds, two public tennis courts and soccer facilities. The Buck O’Neill Complex at this park located off Clark Road is likewise home to the spring training camp of the Baltimore Orioles. Rothenbach Park, another favorite amongst locals, is also just a short distance east of Waverley. 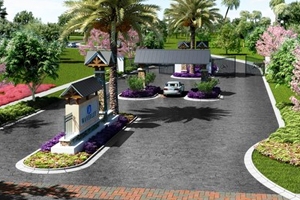 This community park offers some five miles of paved trails ideal for walking, jogging or biking. It also has two playground areas and a pavilion with picnic tables, rest rooms, grills and picnic tables. Many life and leisure hubs, such as shopping and dining at the Mall at University Town Center, are as easily accessible from Waverley. Schools and health care facilities, like the Doctors Hospital of Sarasota, are nearby too. Some of the schools within easy reach from Waverley include Oak Park School, Lakeview Elementary and Riverview High. Below are the current real estate listings available at Waverley.